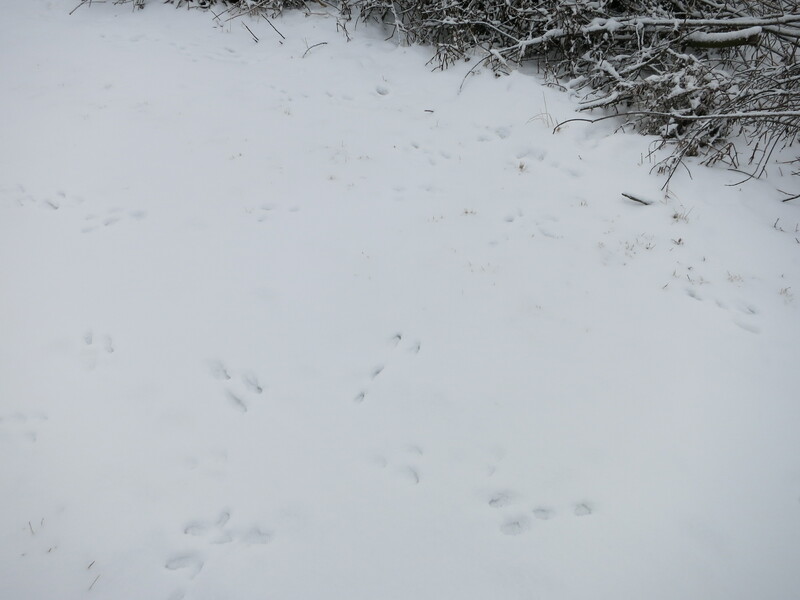 In the mornings when Meesha & I go for our walk around the farm, we see a lot of animal tracks in the snow – mostly rabbit and mice. Sometimes there are the paw prints of other dogs & cats, and occasionally deer tracks. 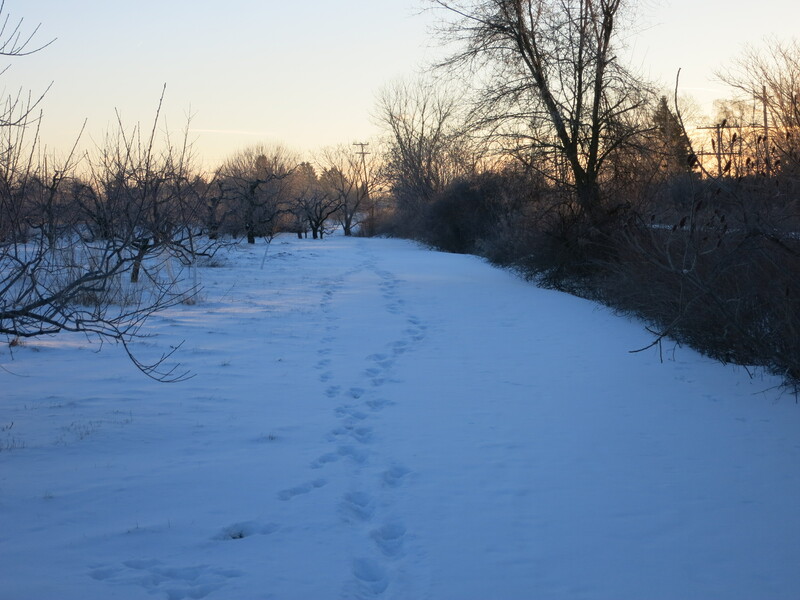 The majority of these tracks are at the edge of our farm along the railway. That’s where the animals live. That’s where they feel safe, among all the underbrush & scrub growth. That’s also where they can find something to eat. 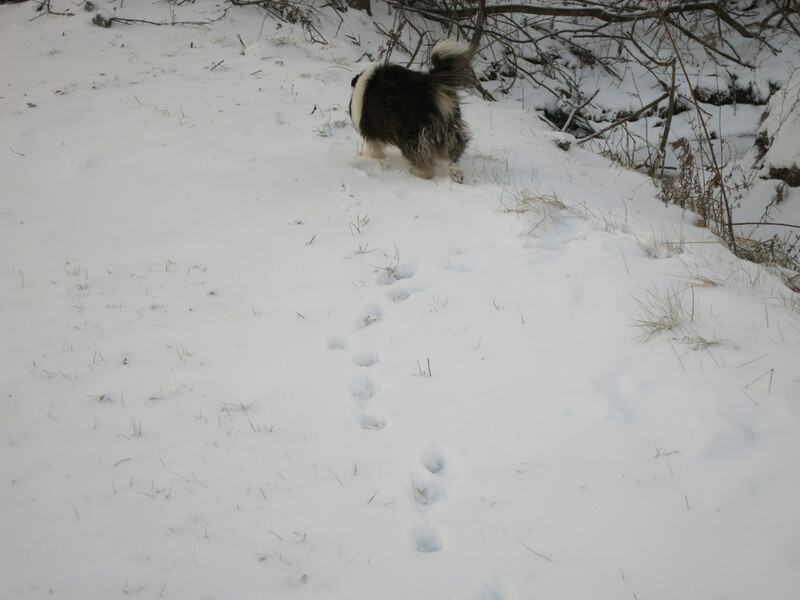 Meesha does not pay much attention to the animal tracks. She will sometimes follow them awhile – until they disappear into the brush or she loses interest. 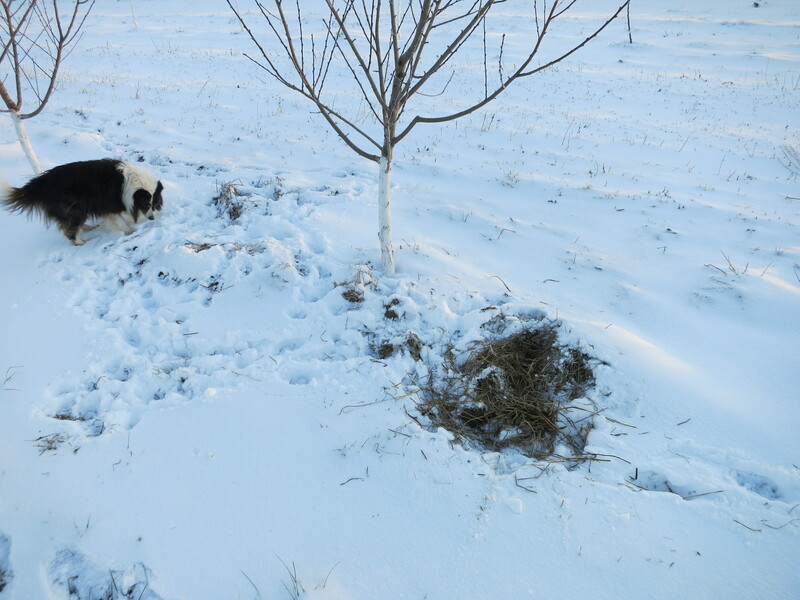 If there are signs of activity, something more exciting, she noses around & checks it out carefully. 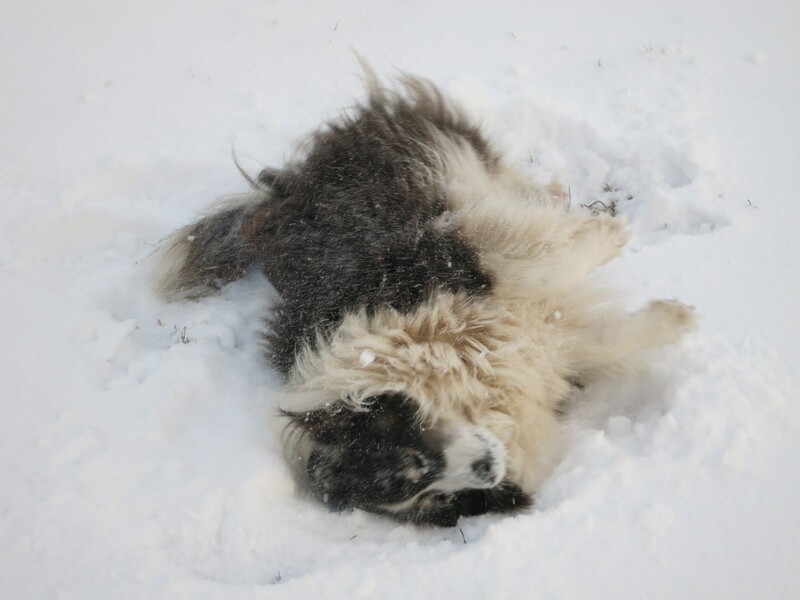 But mostly she just enjoys the snow – she is half Husky after all! 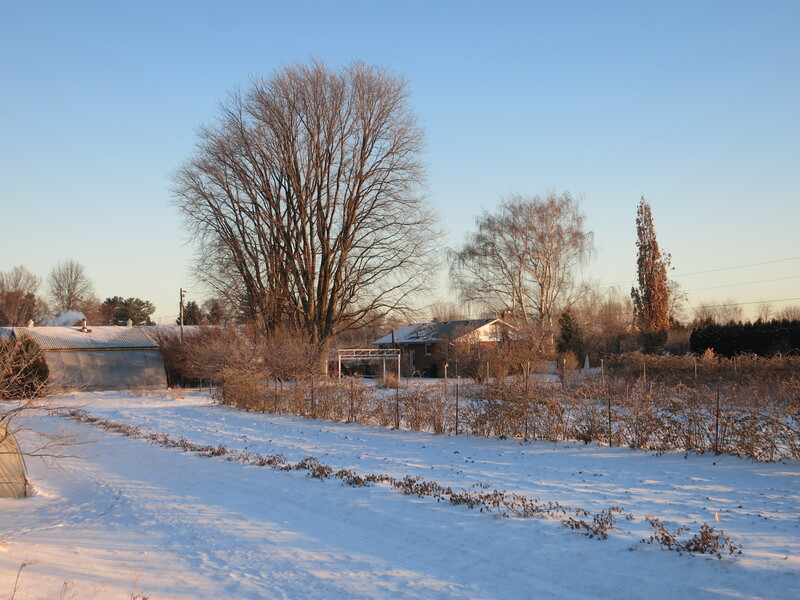 On very cold mornings there might be no new tracks. It would appear that the animals prefer to stay huddled in their warmer homes rather than venture out into the frigid air. We are much the same way! 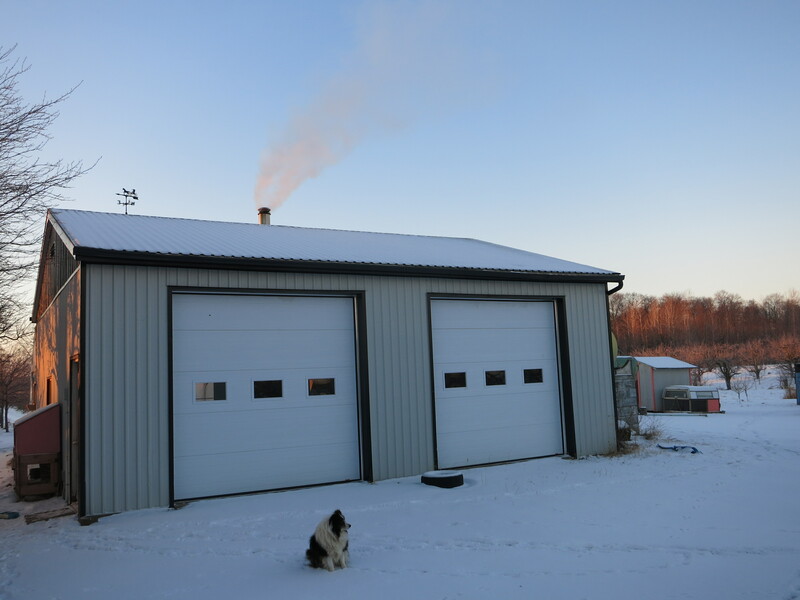 The past few weeks we have hunkered down in the warmth of the house and the workshop. There is always office work to do. Another activity is reviewing the past season. We examine each crop in detail – the growing, harvesting, packing, marketing, profitability etc … Which were successes & which ones failed? 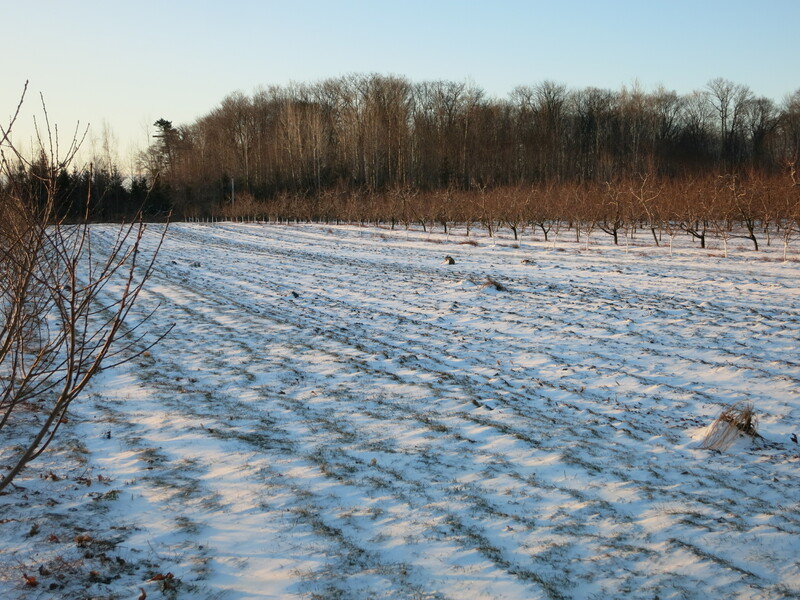 Then we move to planning for the upcoming growing season – which crops will we grow again & how much of each. 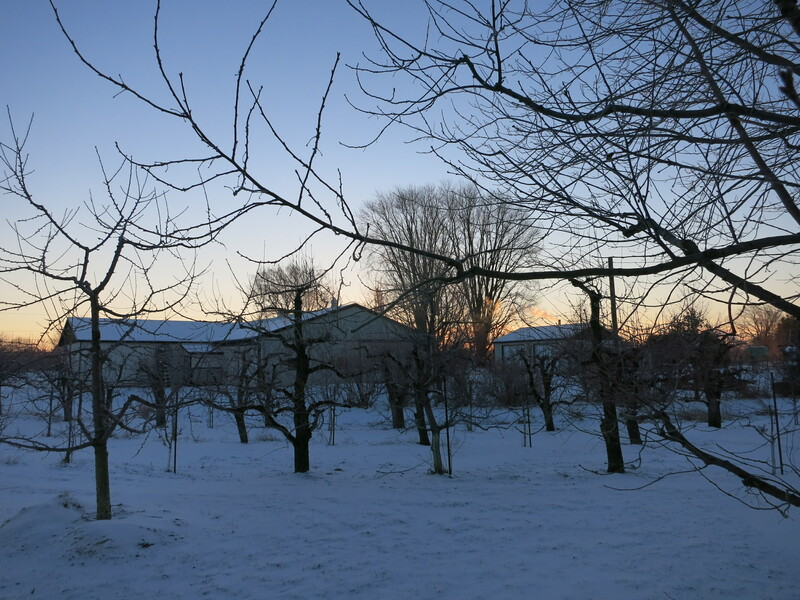 We have to figure out where they will all be planted & how the vegetables will fit in with each other & with the fruit orchards. What new crops will we attempt? Seeds have to be chosen & ordered – a task I enjoy but one that is time-consuming & even dangerous. 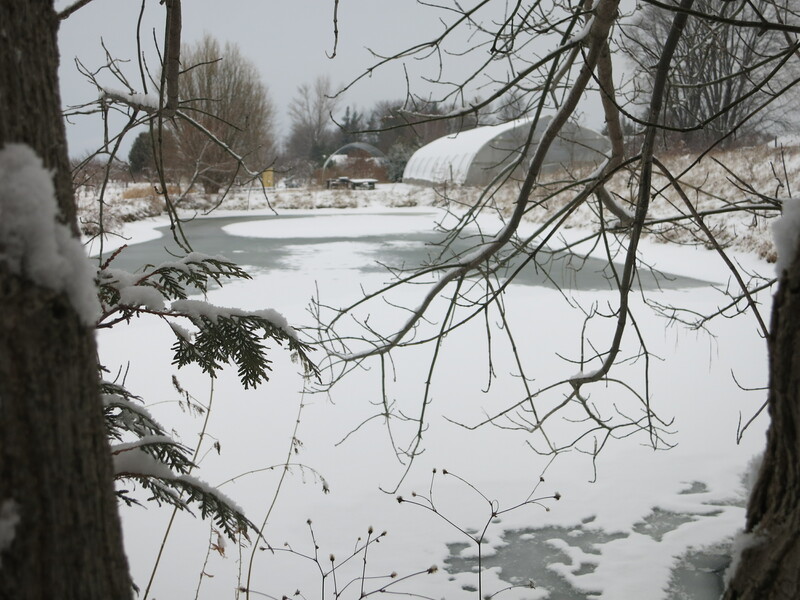 Sitting in the relaxed comfort of a warm home it’s easy to forget the realities of the past summer, and make reckless & optimistic decisions on all that can & should be grown this year. And already the boxes of seeds are arriving – each holding the promise of great things! In the shop there are repairs & maintenance to be done on equipment – not my favourite job, but one that needs to be done nonetheless. 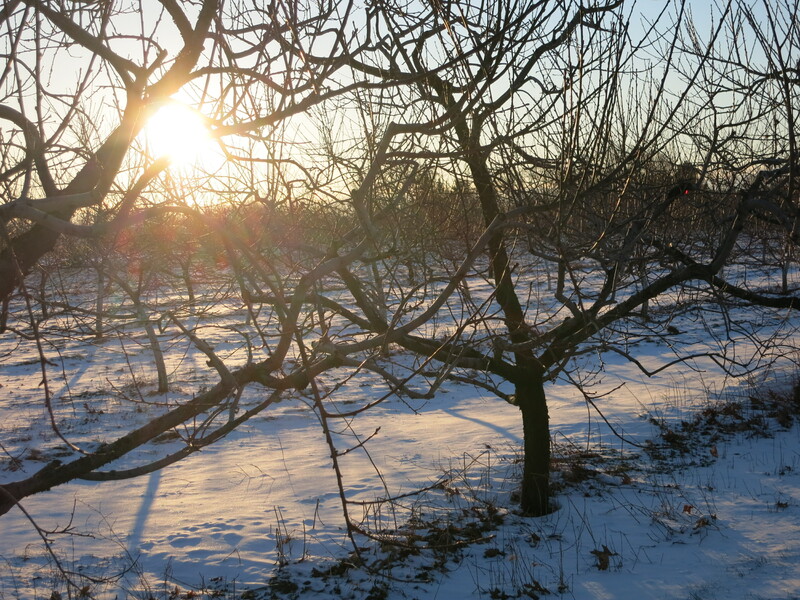 On warmer days, when the sun is shining, I make tracks to the orchard to prune trees. The fresh air feels so good after being inside. 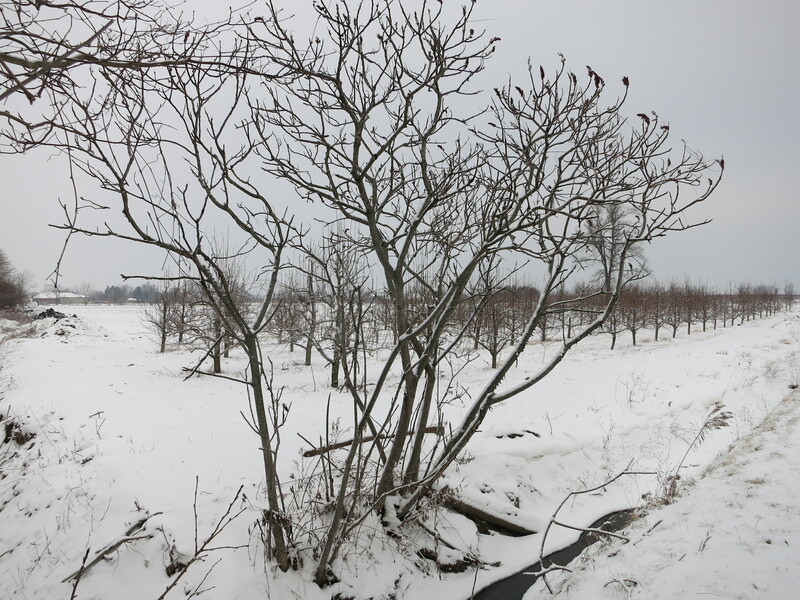 The farm is beautiful in the snow! … And then there is Oliver! 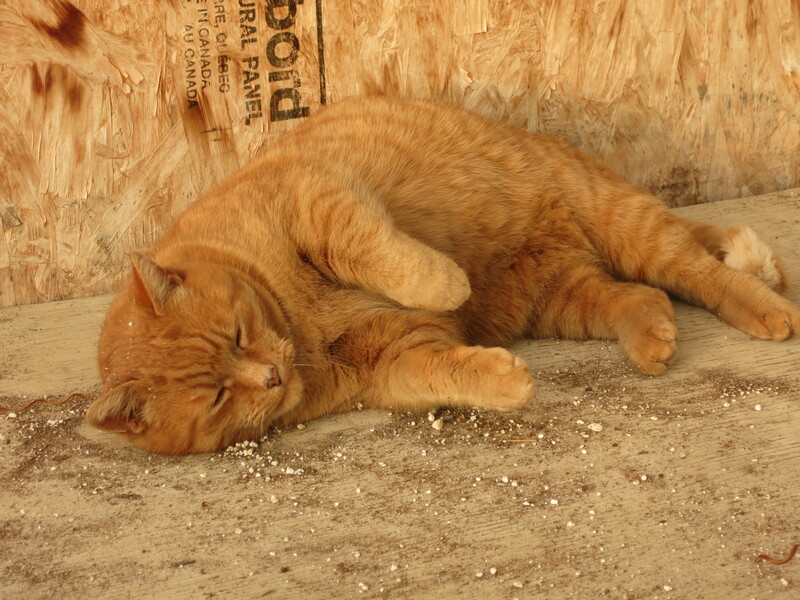 The only tracks he makes are from the barn – where his food dish is located – to the shop, where he sleeps the day away.